The Christmas pantomime is a popular British tradition. After success in the US, Bonnie Lythgoe hopes to introduce an annual panto here. 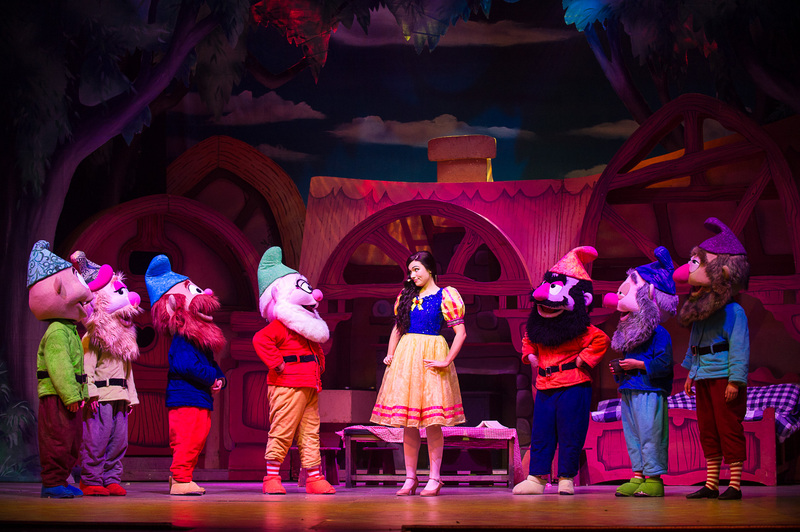 If her first production, Snow White – Winter Family Musical, is anything to go by, she could be onto a winner. 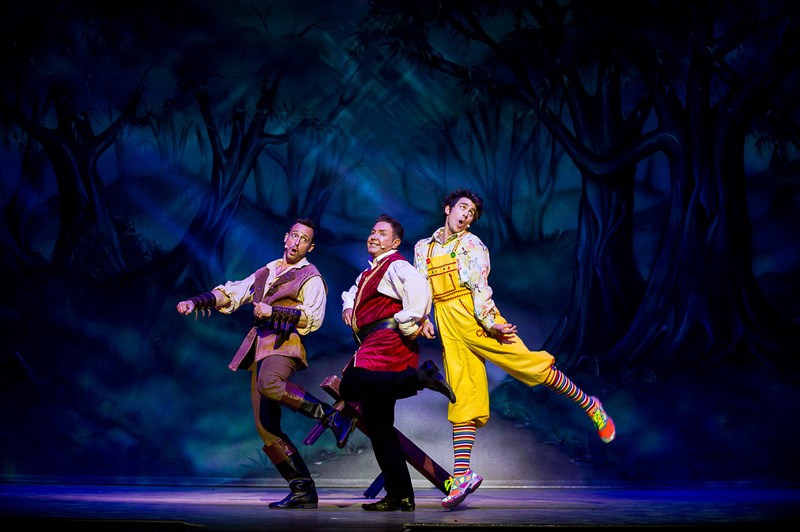 Snow White takes the time-honoured panto formula and gives it a contemporary shake, adding pop songs by the likes of One Direction and Michael Jackson, and lacing the script with just enough local references and topical jokes for both adults and children. The costumes and old-school painted backdrops hark back to classic panto, giving the show a nostalgic charm, and look great. On opening night, the performers quickly involved the audience who entered into the spirit of it with gusto, booing the Wicked Queen, shouting to warn Snow White not to eat the apple, and shrieking during the famous ghost gag. Lythgoe, who produces and directs, has cast the show cleverly with celebrities and actors who understand the performance style. 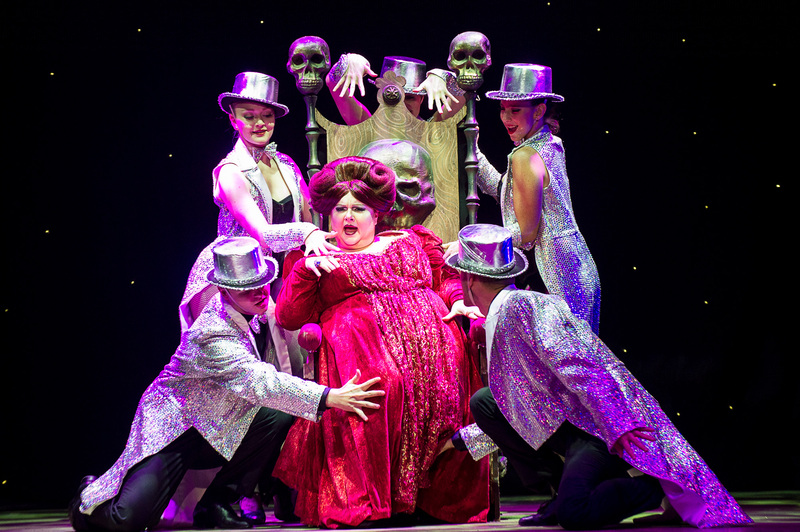 Magda Szubanski, in particular, is fabulous as the wicked Queen Grismalda, interacting with the audience with quick-smart ease. Jimmy Rees (aka Jimmy Giggle from the ABC TV show Giggle & Hoot) also nails it as the hapless jester Muddles, who is hopelessly devoted to Snow White. Both of them pitch their performances perfectly, mining every ounce of comedy without overdoing it. Newcomer Erin Clare (who was discovered during a national search for an unknown performer to play the role) shines as Snow White, embodying just the kind of fairytale heroine that little children imagine. 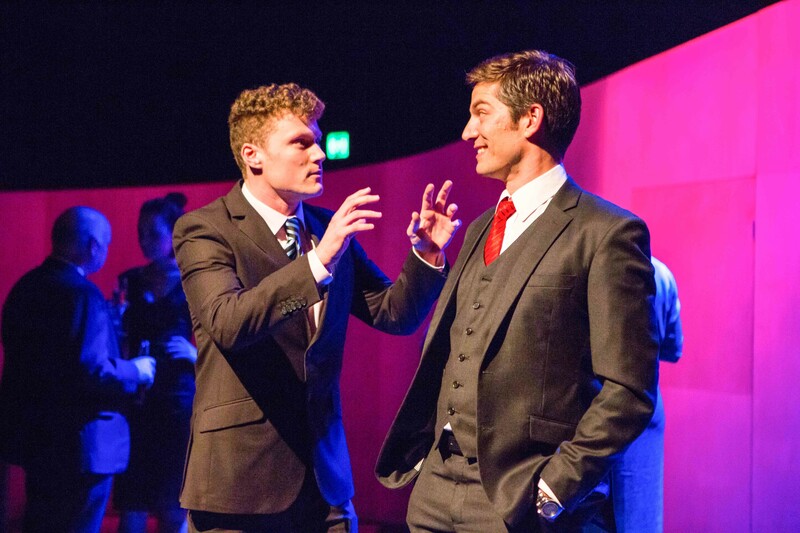 Peter Everett is endearing as Chambers, loyal courtier and friend to Snow White, Andrew Cutcliffe is suitably dashing as Prince Handsome, and Josh Adamson has the right swagger as Herman the Huntsman. Sir Cliff Richard and Kyle Sandilands lend strong support as the Queen’s (pre-recorded) two-faced mirror. The seven dwarves are played by children in cartoony heads, straight out of a picture book or animated film, which works surprisingly well. Running just over two hours including interval, Snow White does feel a little long at times, particularly the extended ghost gag. The odd nip and tuck wouldn’t hurt. However, the three little girls in front of us, who ranged in age from around three to six, clearly had a wonderful time and hardly a restless moment.